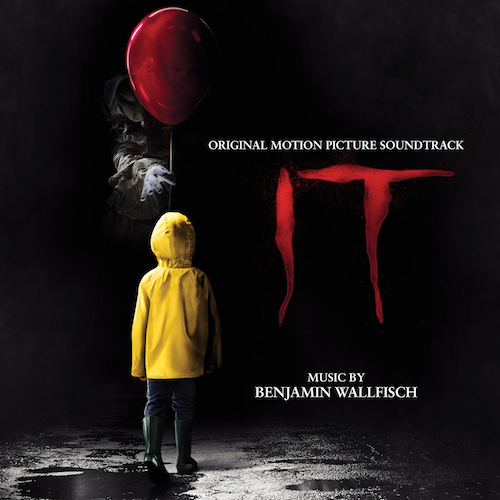 Andy Muschietti, Barbara Muschietti, Seth Grahame-Smith, David Katzenberg, Richard Brener, Walter Hamada, Dave Neustadter, Erin Scully, Kim Baum, Dana Sano, Hillary Holmes, Lisé Richardson, David Krystal, Nate Underkuffler, Max Sandler, Alex Lu, Antonio Andrade, Celeste Chada, Darin Read, Tim Williams, Belinda Broughton, The Hollywood Studio Symphony, Peter Rotter, Jasper Randall, Joel Iwataki, Vinni Cirilli, Larry Mah, Alfredo Pasquel, Shalini Singh, Darrell Alexander, everyone at WaterTower Music, and my amazing wife Missy. Motion Picture Artwork © 2017 Warner Bros. Entertainment Inc.
A famous quote says that “talking about music is like dancing about architecture.” That is pretty much the challenge you have to face when you discuss score with a composer. 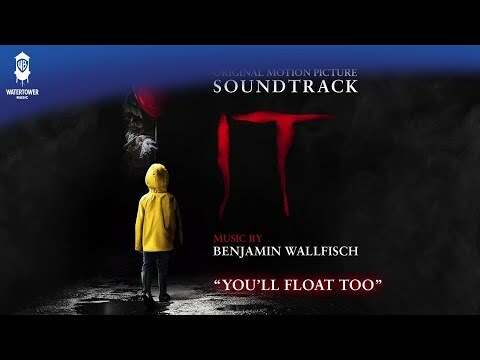 When I met with Ben Wallfisch for the first time, we talked for hours, conceptually, about what the score should sound like. That’s when I confirmed once more that dancing about architecture is not a futile exercise at all. In fact, it’s a creative, exhilarating, and yes, a confusing exercise to get in tune with the other artist. The complexity of scoring IT is that it’s much more than a horror movie. It’s a character driven horror drama. You have to check a lot of boxes including not only tension and horror, but also emotion and humor: dealing with at least eight different main characters, and yet achieve an esthetic consistency. Ben understood this challenge and created a masterful score that elevated the story in a sublime way. Without any doubt one of the most gratifying moments of making a film is to feel the music bring the scenes to life. But when the music exalts these emotions beyond the expectations, then you have an understanding of the genius behind the composition. Every now and again, you come across a movie where the storytelling is so powerful, the subtext so visceral, the synergy between director, narrative and actors so palpable, that as a composer you can feel the music being energized by something so much bigger than what’s just on the screen. To collaborate with Andy Muschietti is to be invited into a thrilling, deeply inspiring and richly creative dynamic space where nothing is off limits. Any idea, no matter how seemingly far-fetched, is examined. A conversation unfolds, a journey commences and unique musical discoveries are made. In our many early conversations, we realized that whilst the score needed to be firmly rooted in the classic symphonic adventure movie scoring tradition of the 1980s, it also needed to embody something unique. Andy’s interpretation of Stephen King’s masterpiece is so much more than a horror movie: it’s a stunning and arresting film that inspires and moves the audience with its underlying message of the power we have when we truly unite, despite our differences. Creating a score to tell the story of a shapeshifting antagonist of unimaginable evil, that can only be defeated when a group of individuals come together as one, required metamorphic themes, extremes of sonic irreverence and heartfelt quiet; and most importantly, a musical language that strived to be constantly informed by the profound emotional truth driving the heartbeat of the filmmaking. Collaborating with Andy to bring his vision to life was a true honor, and as a lifelong Stephen King fan, a great privilege.